This place is apparently a bit of an institution in the area so it may be a bit of a mystery that I have only ever been once before and even more surprising that a local friend of mine had never been. So when organising dinner with her and another friend, she pushed for Regency after having heard so much about it. We arrived at the Restaurant and the ‘regular’ of the 3 of us advised that we need to press the buzzer to enter! ‘Why in the world do we have to do that’ asked Miss M? 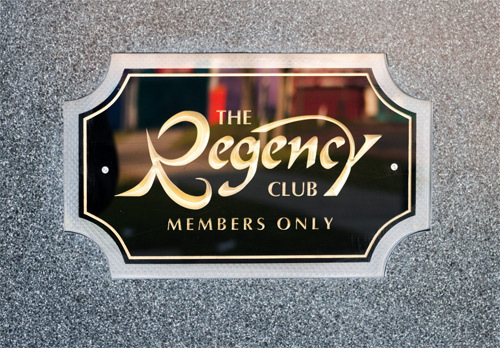 Apparently it’s because Regency is a ‘members club’ and this was ever more evident when we entered and spotted the notice by the bar saying ‘only members can purchase drinks’. Obviously this was quashed when we were seated and ordered our drinks. 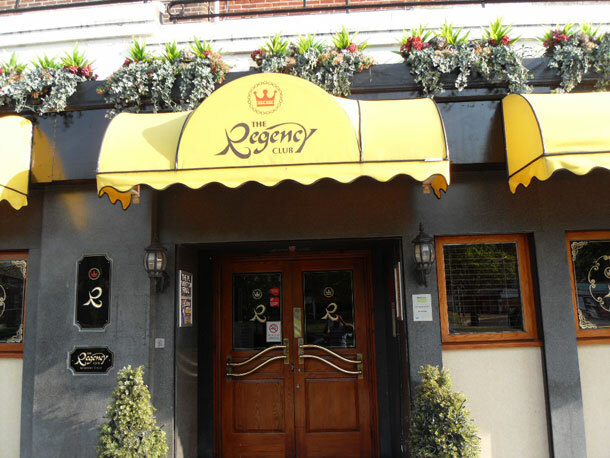 The place itself reminded me of an old man’s club, the overall feel was slightly dingy and dark with lots of tucked away areas, but people don’t go to Regency for the atmosphere, they go for the food! After skimming the menu, we decided to go ahead and order, but asked that everything be made less spicy – see below for my explanation why..
Now to be perfectly honest I much prefer Pakistani cuisine especially where meats are concerned to Indian cuisine. The main difference being the amount of spice used. Whilst Pakistani cuisine tends to contain spice in terms of chillies, Indian Kebabs and meat contain spice in terms of garam masala and red chilli powder. But figured its worth giving this place a second shot. The food arrived fairly quickly. The Chilli Garlic Prawns – The prawns weren’t overcooked in the way that some asian restaurants make them and they were nice on the whole, although they didn’t really leave any lasting effect. 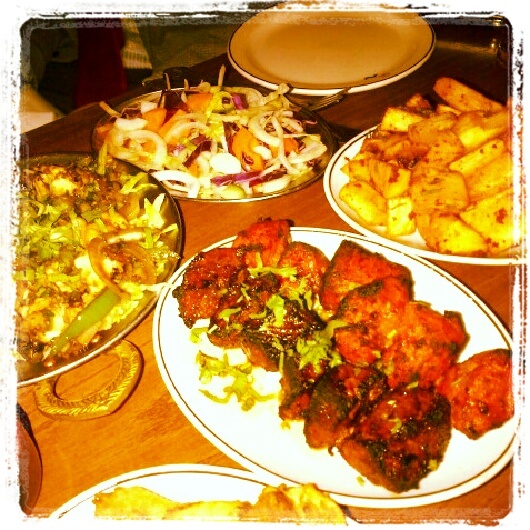 The Lamb Tikka – This too was nice, but the pieces weren’t so tender, I’m not sure if this was because of a lack of tenderising agent when marinading the meat, or because it was slightly over cooked, but where with my regular hang out (Lahore) the lamb lets out juices as it rests, this meat was slightly dry. The overall flavour was good, but could have done with being taking off the fire a bit sooner. The Chicken Tikka – So far I’ve been my usual criticising self, but I have to break the record here and say that the chicken was actually really nice, it was still soft and although the chunks could have been a little smaller, I have no major complaints. 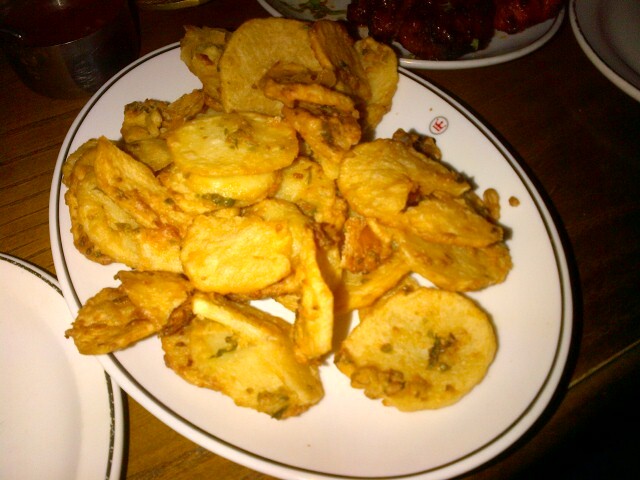 Chilli Garlic Mogo – Sadly these tasted a bit more like chips than anything else. I would have liked to have tasted more of the garlic, but either way, we happily picked away at these. 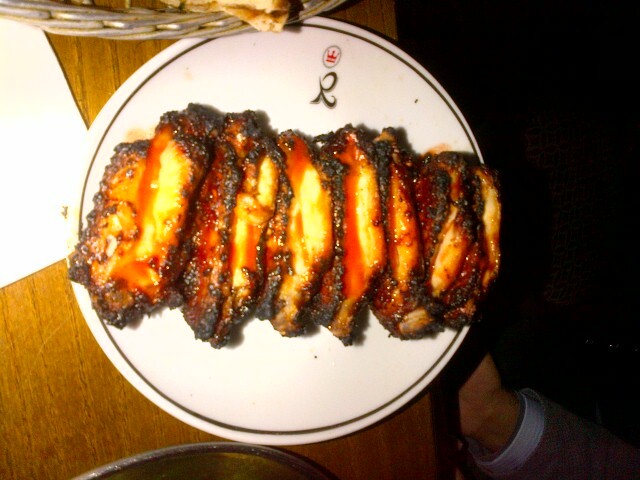 The ‘Famous’ Chicken Wings – There are famous mainly because my cousin has a major obsession. Although I never used to like Chicken Wings and opted against them due to the messy nature, again these were quite yummy. The meat was juicy and the skin was crispy whilst the spice was just right. 2 Garlic Naan’s – As good as any other. Overall I was more impressed this time than I was on my last visit. Whilst I don’t think I’ll be having any major cravings, at least I can say I now have an opinion on Regency and will most likely return within the next 6 months – that’s a positive in my book!